Inter-Pacific is proud to be a US GSA Federal Supply Schedule Contractor, ready to support the unique applications and requirements of government contractors. 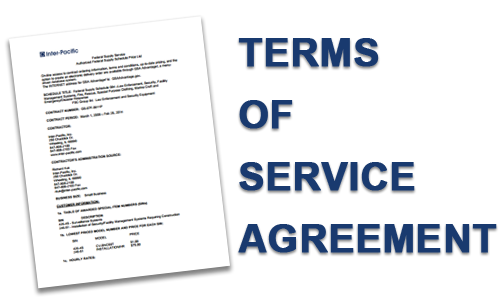 In addition to maintaining our own GSA contract, Inter-Pacific is an authorized GSA Reseller of Pelco, Bosch, and Samsung. State and Local governments can take advantage of Inter-Pacific's participation under the US GSA Cooperative Purchasing Program, the authority for State and Local governments to purchase under schedule 84 Local Preparedness Acquisition Act.